Arik Brauer is one of the leading exponents of the Vienna School of Fantastic Realism, alongside Ernst Fuchs, Anton Lehmden and Wolfgang Hutter. Characteristic of his works is the Old Masters’ style of painting, which deliberately follows medieval miniatures and oriental traditions, and his bizarre, fantastic formal creations. Political issues, motifs from Jewish history and impressions from his numerous journeys inspire his creative activity. 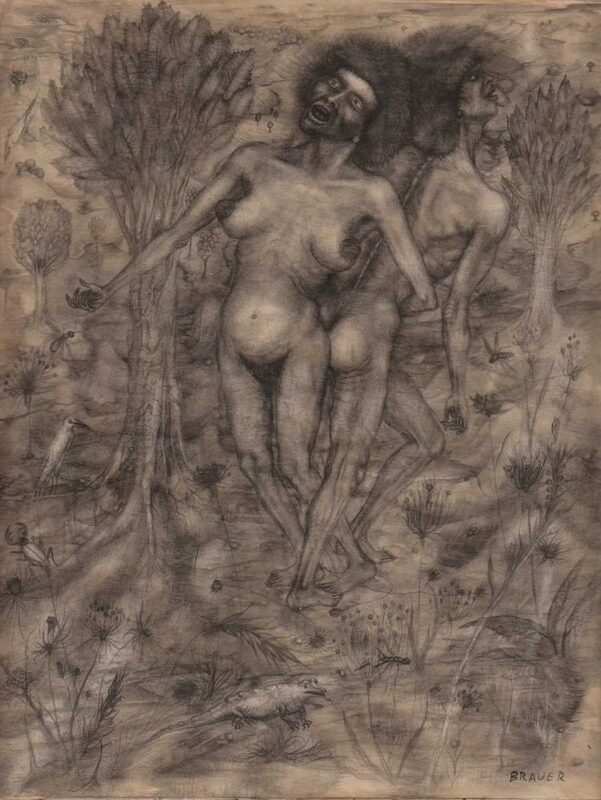 Brauer’s works are always also documents of his remonstrative and humanistic intellectual attitude. In addition to his work as a painter, Brauer is known as an architect, sculptor, poet, singer, songwriter and dancer. The artist, born in 1929, lives and works in Vienna.